Doing a job in a half-baked way does not protect your assets, and it certainly does not protect your valuable stained glass church windows. 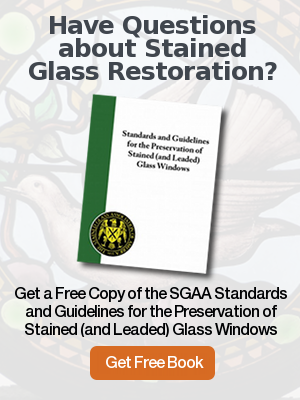 After all, what is the point of spending time and money to restore a stained glass church window, and not carry the job through to ensure the best outcome – that the most beautiful effects can be seen equally from a distance or close up? 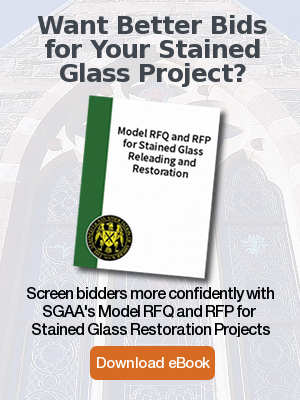 The movers and shakers at Grace Episcopal Church on City Island, NY certainly thought their stained glass window was worth a proper restoration by a stained glass expert. 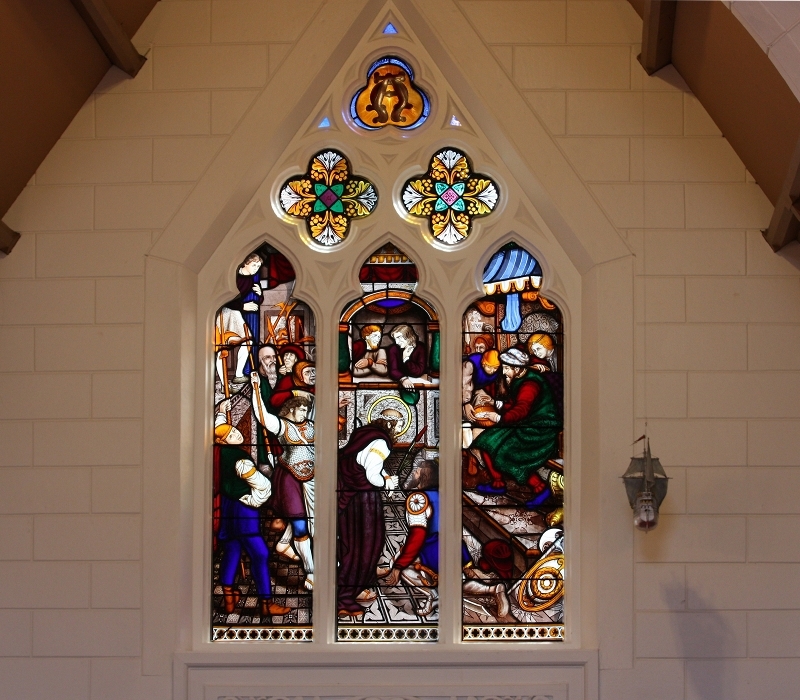 In the fall of 2013, they hired Rohlf’s Stained & Leaded Glass Studio to restore their altar window, comprised of a triple-lancet stained glass window with three kite sections above it. This was not a typical project. 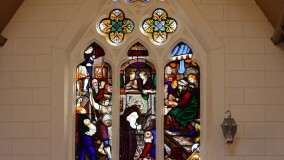 The stained glass windows are by John Bolton; they were a national treasure badly in need of loving attention. They also are approximately 150 years old. Handling such historical projects requires the best experts one can find. Stained glass windows designed by the Boltons in the mid-nineteenth century show why he is considered America’s first great stained glass fabricator. They were the first Americans to design and fabricate figural stained glass. 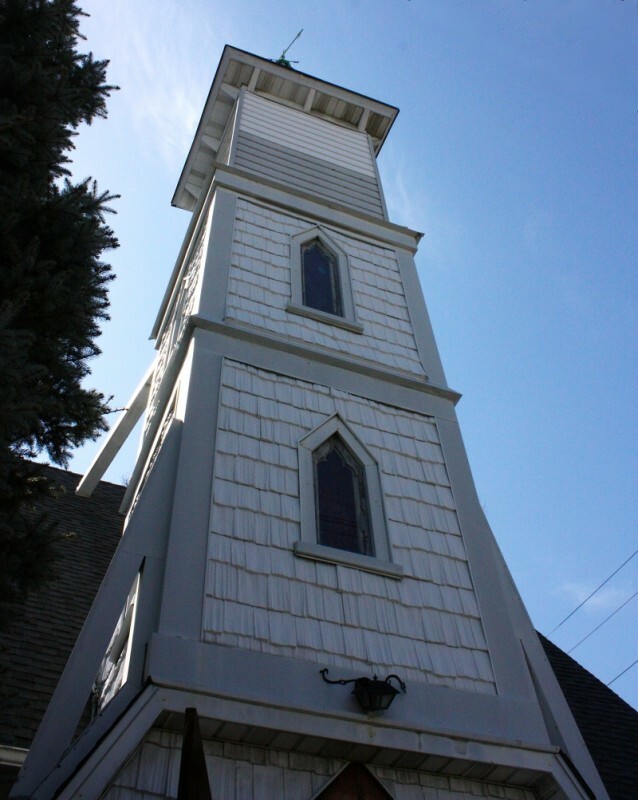 In the case of Grace Episcopal Church, the stained glass window restoration included previous poor repairs requiring painstakingly careful detail preservation. To accomplish the restoration in the optimal way, Rohlf’s had to carefully remove all stained glass sections (3 lancets and 3 kite sections) and return them to the studio, where as many as 10 craftspeople were put to task of this historic conservation. To give an example of their poor condition, in an earlier restoration, lead lines had been set that cut right through the heads of figures. Additionally, there were places where the Biblical figures’ garments suffered from a spider web-like appearance due to multiple breaks. Cracked glass pieces needed to be edge-glued with special epoxies. New restoration grade leads replicated the originals. 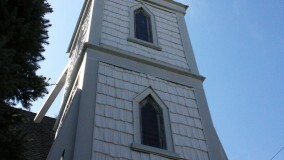 New clear hurricane protective glass had to be fabricated to ensure the longevity of the stained glass windows. The frames were scraped, primed and painted. 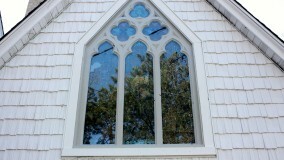 The stained glass was set dry for proper venting while the protective glazing was sealed with the proper sealant. Such work requires the expertise gained from years of experience, practice and perfection in the art of stained glass restoration. These skills only exist among the most talented restoration experts. 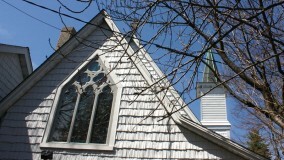 When the Bolton window was returned to the altar of Grace Episcopal Church on City Island, it was a joy to behold. Although these are small lancets, measuring approximately 18 inches by 70 inches apiece, the overall effect is magnificent. 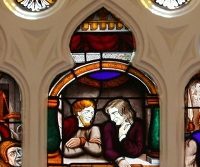 When 150 year old stained glass appear once again in their full glory, church leadership and the congregants alike can feel good about preserving a national treasure.